OCTOBER 2018: Broadway bound had an awesome time representing Adagio at Clover's annual Fall Festival and Auto Show. The dancers rocked their performances, raised money for the season with a bake sale at our booth, and had so much fun with friends representing the community! Way to go, dancers!! JUNE 2018: A SPECIAL congratulations goes out to Addy Hoak and Ashley Borgman for winning the 2018 Teen & Junior Miss Dance USA Title at the Boogie Fever Nationals Competition! They are wonderful role models to all dancers and we are all very proud of their accomplishments. 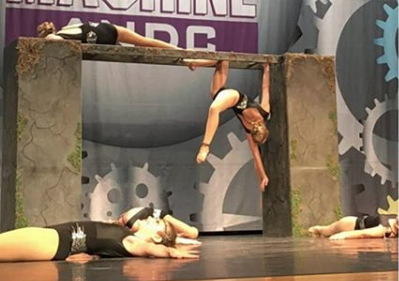 APRIL 2018: It was another amazing competition at Dance Machine this past weekend! 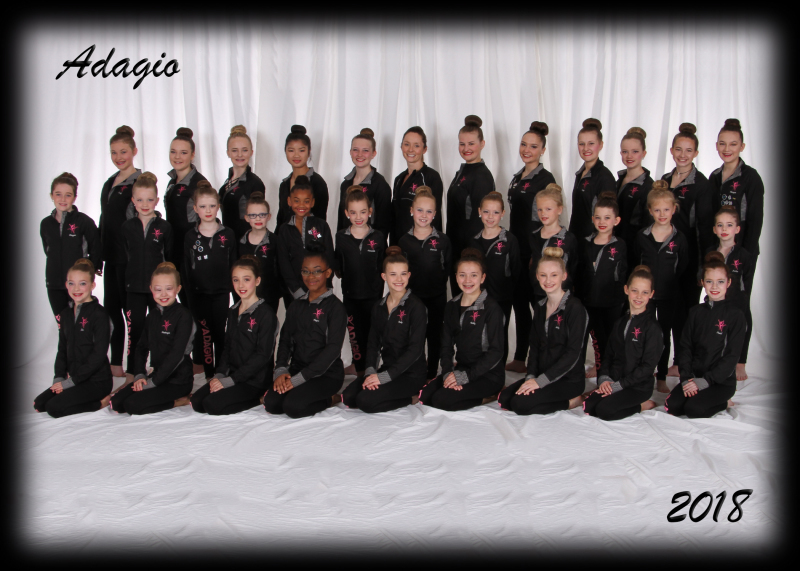 Congratulations to all of our dancers for earning Elite Gold, Platinum, Extreme Platinum, and Bravo awards! Some of our dancers earned dance scholarships in Charleston and New York City and many of our dancers were again chosen as title semi-finalists to compete at Nationals competition this summer! What a wonderful way to end the competition season! Fantastic as always girls!! MARCH & APRIL 2018: Congratulations to our Broadway Bound Competition Team for their spectacular performances at Showstopper and the Epic Dance Showcase, their second and third competitions of the season. At Showstopper, the dancers received Platinum and Double Platinum awards! 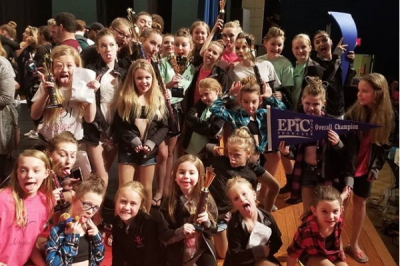 At Epic Dance Showcase, the dancers won several more awards placing with Platinums, High Platinums and even Diamond! In addition, they won awards for BEST overall scores for many dances, received Judges awards and won ANOTHER Studio Sportsmanship/Spirit Award!!! WAY TO GO GIRLS! MARCH 2018: Our Broadway Bound Competition Team recently performed at the 2018 Boogie Fever Dance Competition! The team received Platinum and Ultimate Platinum awards, Shooting Star Awards, two Grand Champion awards, and the honorable "Studio of Excellence" award, along with instructors receiving Judge's awards! Several of the dancers also received dance scholarships! 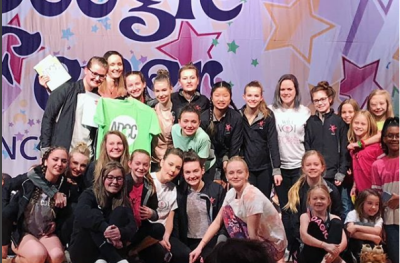 Rachel Mazingo, Diana Clayton, Pearl Peak, Mackenzie DeCuir, Ruby Gaylor, Rylee McGirr, Ashley Borgman, and Addy Hoak were chosen as title semi-finalists to compete at the Boogie Fever Nationals Competition this summer! 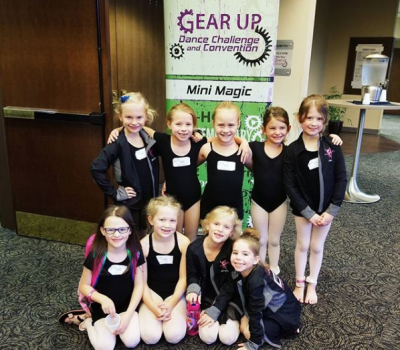 NOVEMBER 2018: The Gear-Up Dance Convention was a terrific experience! Our dancers learned new dance skills, choreography, and technique in all genres of dance and especially loved their instructors! Several of the dancers earned dance scholarships including Sophie Truchon, Addy Hoak, Mackenzie DeCuir, and Ashley Borgman! Thank you to all our parents for your dedication and commitment and for raising such wonderful young ladies! They all shine inside and out!